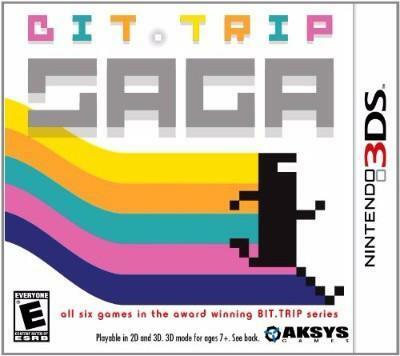 Bit.Trip Saga Nintendo 3DS, 2011 Complete W/Manual Free Shipping! BIT TRIP SAGA Nintendo 3DS Complete w/ Manual, Case, & Cartridge VERY NICE! Bit.Trip Saga - Nintendo 3DS - Complete in Box CIB - Great Condition!